With a couple of thousand photos in iPhoto finding the photos I'm looking for can be tough. Features like Faces help, but sometimes I need something a little more powerful. In this tutorial you will learn how to use the Smart Albums feature in Apple's iPhoto to quickly find and sort pictures by "conditions." Conditions can be who is in a photo, when the photo was taken or even which camera was used to take the photo. The best part is these albums will automatically update themselves as you add more photos! To follow along with this tutorial you will need a copy of iPhoto '11, a Mac, and some photos to sort. iPhoto '09 users might also find this video helpful although some of sets might be slightly different. This video build on what we learned in the iPhoto Organization Part 1 – Faces and the iPhoto Organization Part 2 – Sorting Pets with Keywords videos. 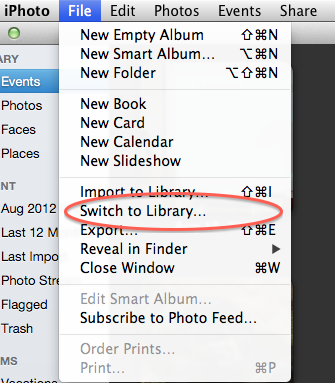 This quick tip shows you how to quickly navigate iPhoto using double clicks and how to set key photos for your events. In this video we show you a special technique I learned for sorting photos of pets. After using the Faces feature to organize all of the people in my photo library (Learn about Faces here: iPhoto Organization Part 1 – Faces) I noticed that there was no easy way for me to find pictures of our dogs Maxine and Connor. Then I came up with the idea of using the Keywords feature in iPhoto to quickly tag pictures of our family’s various pets. Now, when I need to find a picture of Maxine all I have to do is type her name into the iPhoto search field. Check out the video for instructions on how you can use this powerful technique. I love iPhoto. It is a great tool for organizing, editing and sharing your photos and it comes on every Mac. Even though there are some powerful organization tools built into iPhoto, many people settle for simply creating albums and manually moving photos around. In this video series you will learn how to organize your photos like a pro so that any picture can be found in a matter of seconds.